Growing demands, shorter development times, rising quality standards and heavy economic pressure – these are things that automotive manufacturers and suppliers can only overcome with strong partners. Our technical development and project management staff work purposefully and in flexible collaboration with our materials and production specialists. This allows us to eliminate problems from the start. Modern computer technology and communication systems combined with experience from a wide range of different projects provide the basis for short development cycles and cost-efficient solutions that fit overall plans. 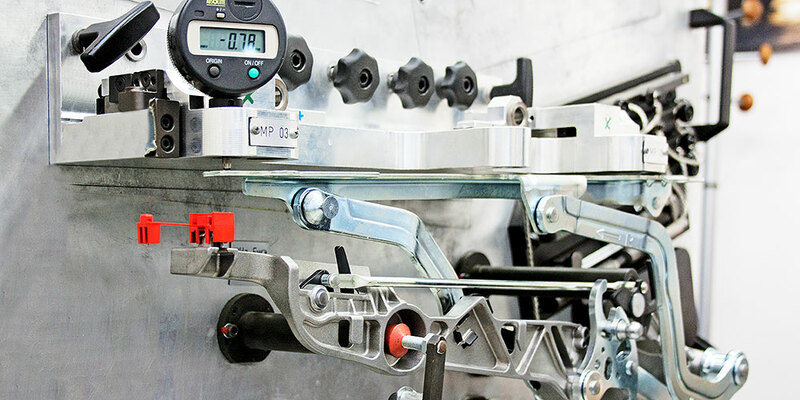 An efficient, IATF 16949 certified quality management system supports the continuous improvement of all processes. We use methods such as FEM and FMEA to drill down and leave nothing to chance in achieving our ambitious objective of a zero defect rate. Common sense demands sustainable management, and it is our responsibility for the future. KICO currently holds ISO 14001:2015 certification, which means that we meet the highest standards for environmental protection and the prevention of environmental damage while taking into account commercial considerations. As such, KICO has its value chain completely in hand and is able to manufacture in a sustainable and resource-efficient manner.